Howth is a short train ride via DART from Dublin and very easy to get to. The town is strikingly situated right on the Irish Sea and provides a seaside escape for Dubliners in warmer months. We did not know what to expect when we boarded the train for Howth but we were in the mood for a little adventure. So, to Howth we went! When we arrived, we noted a quite a splendid selection of restaurants with fresh seafood. There really was more to choose from than I expected. We took a spin about and settled upon Crabby Joe's right near the marina. The restaurant provided a nice place to relax while enjoyed our meals. The interior was cute and we loved the shell design on one of the walls. If you are not a seafood fan, fret not--there are other options not only at Crabby Jo's but at other restaurants as well. After lunch, we ambled along the pier to take a look at Ireland's Eye which is an island off of the coast with a striking rock formation. The weather was quite changeable as we made our way across the pier from pelting rain to full sun. If you visit Howth in the summer, there are boats that can take you out to Ireland's Eye where you will find a Martello Tower (built about 1805) and the ruins of a church. Just such a cool island to look at! After walking the pier, we walked closer to the edge of the sea. There is a platform area to walk across and we walked for a bit get a different view. However, the wind was pretty intense so we did not make very far! Next, we walked through a bit of the town where there are more restaurants and shops and finally up to the ruins of St. Mary's Abbey. By this time, it was quite chilly so we opted to head back to Dublin. 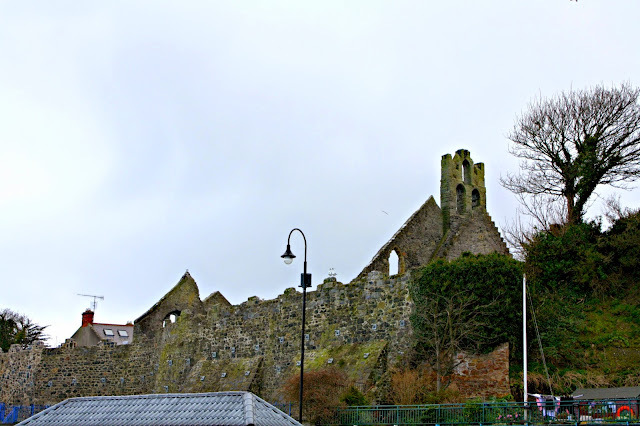 There is a castle in Howth as well and plenty of places to walk around so a bit more to explore than we were able to. But, we were pretty happy with our visit and the views were just amazing! If you are looking for tons to do, Howth may not be the place for you. 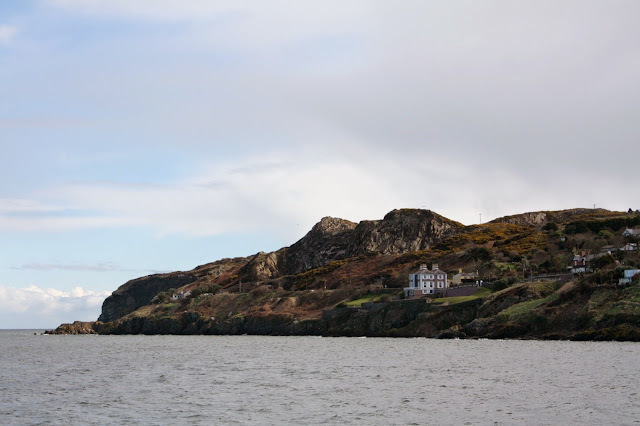 But, if you are looking for a calm environ to walk around while seeing more of Ireland, Howth is a good little side trip. We enjoyed our visit to Howth and were glad that we decided to take a little adventure!